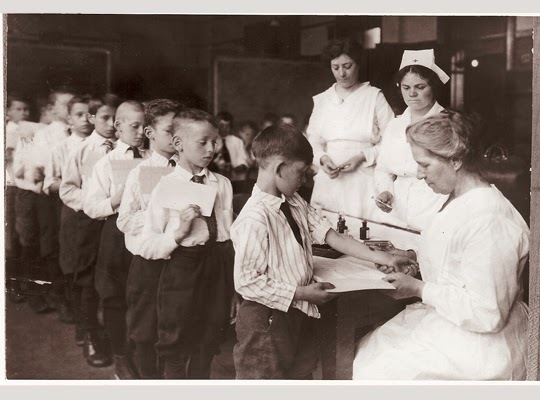 In this Month's National Geographic Magazine, a picture of kids(below) is shown waiting in line for their Vaccine in the 1920s. I like how they dressed up for the event (or perhaps it was in a private school? ), there's a sense of respect or thankfulness for being able to get rid of a disease. Are we taking Vaccines for granted these days?